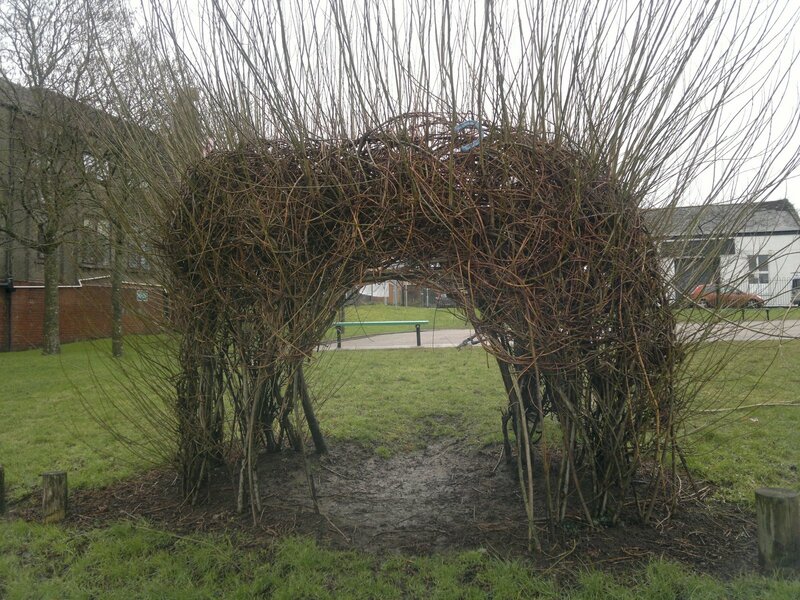 We often get asked to repair living willow structures that have been neglected by schools. often schools don't have the time or expertise to repair their willow structures but want to keep them as they are so popular with the children. 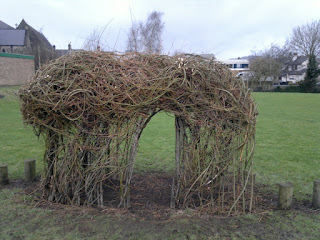 The long tunnel in the pictures is a least 12 years old and was not planted by us. 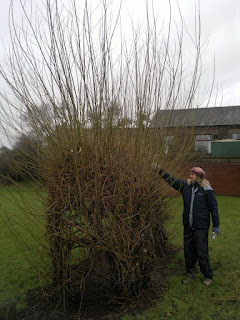 whoever did plant it used the worst possible willow variety, bowles hybrid, as it is horribly inflexible when trying to weave in new growth. We had to do a severe haircut job on the tunnel to get it back into some semblence of its original shape but it will look great by early summer with its new growth. 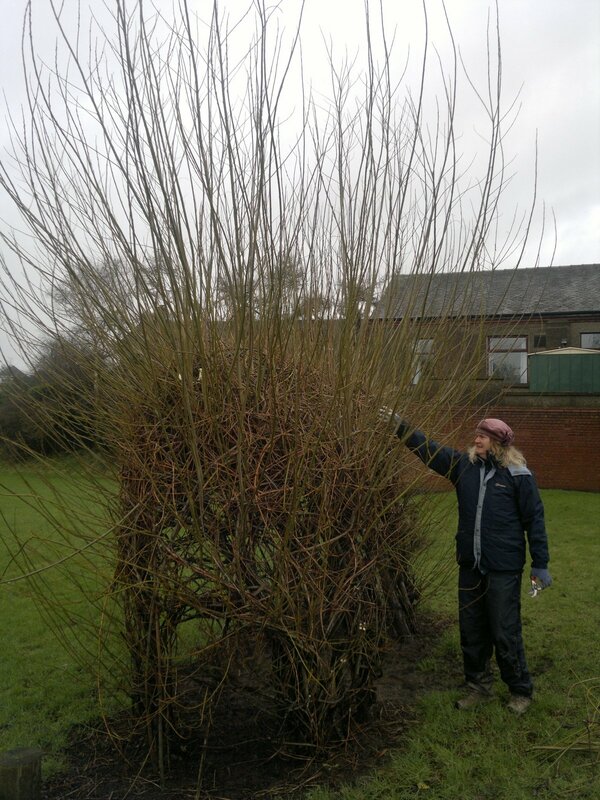 We are running our first Living Willow Course of the year today. We are weorking in our new willow garden at Gatebeck near Endmoor. Not a bad day weatherwise, a bit dampo but at least the ground is not frozen. 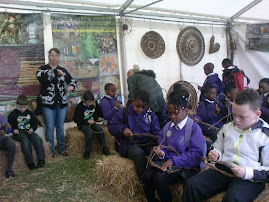 As we were amongst the first to use Living Willow our students have our vast experience to learn from. 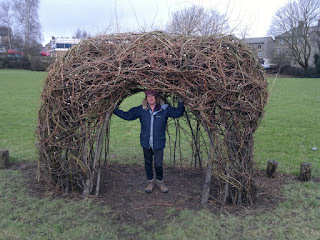 Everyone is happy building a dome at the moment!